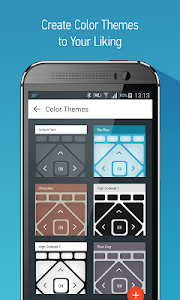 World's best Galaxy S6 Remote, S5 Remote, HTC One Remote, or any Android remote overall! 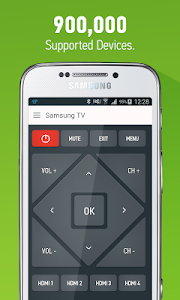 The only Universal Smart Remote Control for TVs and Home Electronics you'll ever need! 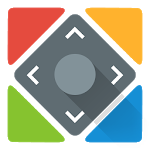 Smart IR Remote is the only IR remote universal app for Android that you'll ever need: it's smart, the best device coverage of all android remotes (900000 devices, with more added daily), and it's the only one that makes use of features only your phone/tablet has, that a plastic remote (like the Logitech Harmony) never will. 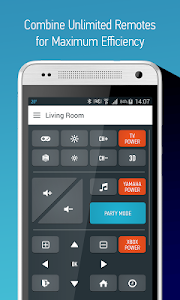 As IR remote controls go, especially android remote controls, you'll never find one better! Smart Remote works with any Samsung, HTC and Medion devices with an InfraRed Blaster, and most other brand phone/tablet with an IR Blaster that runs Android 4.4 or above provided by the manufacturer. 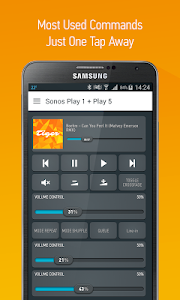 Smart IR Remote also works on most custom ROMs like CyanogenMod. Smart IR Remote is an universal smart remote control that can simulate anything that sends InfraRed remote commands, like a TV remote, Set Top Box remote, DVD remote, BluRay remote, VCR remote, Amplifier remote, Air Conditioner remote, AV Receiver remote, DSLR camera remote, etc. 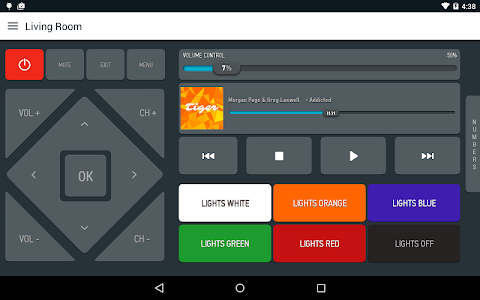 Better yet, combine your remotes into a smart remote (activity) so that on your custom remote you'll have the volume buttons to your surround system, the channel buttons to control your set top box and the display buttons to control your TV. 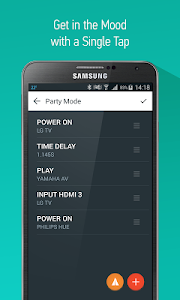 It's the only Android universal tv remote that can do that, while controlling any other device too! Don't have an IR-enabled phone? 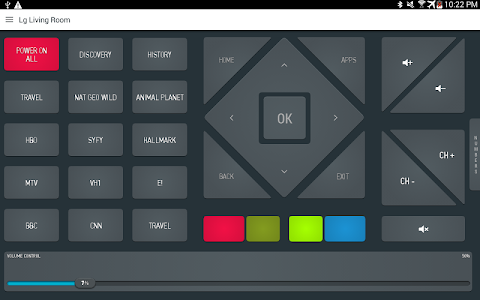 Don't worry, Smart IR Remote - AnyMote can also work over wifi to act as a Sonos remote, Samsung Smart TV remote, Sharp Smart TV remote, Philips Smart TV remote, LIFX and Philips Hue remote, Kodi / XBMC remote, VLC remote, Roku remote, Boxee remote, Amazon Fire TV remote, Yamaha & Denon AVR remote, or Amiko A3 remote. You'll no longer need separate apps for each of these! Is your wifi device not in the list ? Email us and we'll do our best to add it. If your remote is missing, please email us and we'll do our best to help! On top of all that, since you're holding a phone, why not use some of its unique features? Swipe, tap & hold to change channels, volume, etc. - it's all configurable! Group commands in batches, and then execute them automatically one after the other. Imagine being able to turn your TV, Xbox and surround system on, switch TV to HDMI 1 all with a single tap! 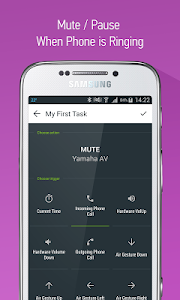 Automatically execute commands or macros when certain conditions occur: your phone rings, at a time chosen by you, when you use your phone's Volume Buttons. 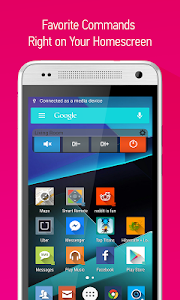 It also has Tasker plugins! Similar to "Smart IR Remote - AnyMote"